In basic science classes, we have learned that certain traits are passed along through our genetic material. For instance, the likelihood of having a certain hair color, eye color, or build is all determined by our parent’s genetic makeup. Things like talent can even be associated with DNA, in a way, because of things like intelligence or physical precursors. That being said, up until now, one thing that was thought to not be passed down through genetics is experience. There is new research that is challenging that theory. In the following video from MinuteEarth, we are shown an experiment where rats are trained to fear the smell of fruit because they are sent and electrical jolt every time they smell it. What scientists found was that as the rats developed their fear of fruit, they also developed more neurons in their noses to detect the smell of fruit. That’s pretty common evolution at work. It was no surprise that the rats offspring were born with these extra neurons as well. What WAS a surprise, is that the baby rats feared the smell of fruit even without ever being subjected to the electrical jolts. As the video explains, this is a clear indication of a learned experience being passed down through genetic lines. This experiment also raises the question of exactly how much experience can be passed on from parents to offspring. 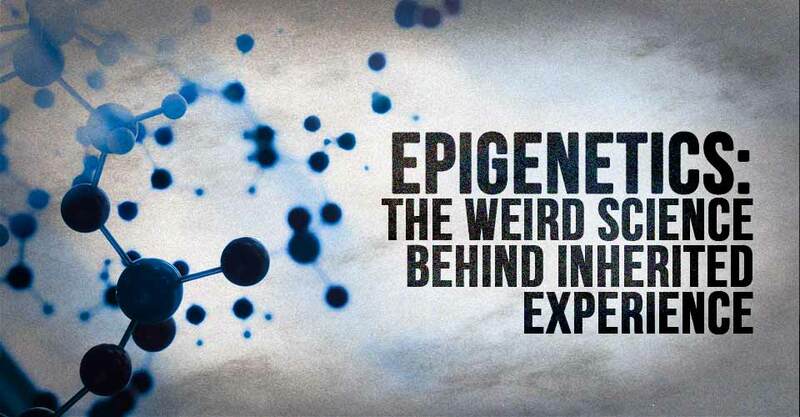 I’ve written before about Holocaust survivors passing on certain behavioral traits to their offspring, and the idea of epigenetics is fascinating to me. Check out this video for a breakdown of the experiment, and see for yourself.